For any brand that wants to market effectively, creating a great customer experience needs to be right up there at the top of the priority list. Customer experience has gained a lot of popularity recently but until a few years ago it was a marketing focus more typically associated with B2C marketing than B2B marketing. Times are changing, as revealed by a recent survey conducted by digital marketing organisation GreenHat. The customer and not the seller needs to be at the centre of the business if an organisation is going to succeed in 2017 and beyond. The survey results show that seller focused businesses and non-customer centric marketing strategies (like cold calling and direct mail) are flagging when compared to more customer-focused strategies. Customer experience in the B2B marketing industry may be more complex than the B2C equivalent but it’s just as important. The report produced by GreenHat is based on the results of surveying 335 marketers in Australia, and it reveals that a whopping 95% of B2B marketers consider customer experience to be a strategic priority for 2017. For most B2B organisations, their future income depends largely on repeat business and referrals from their existing customers. 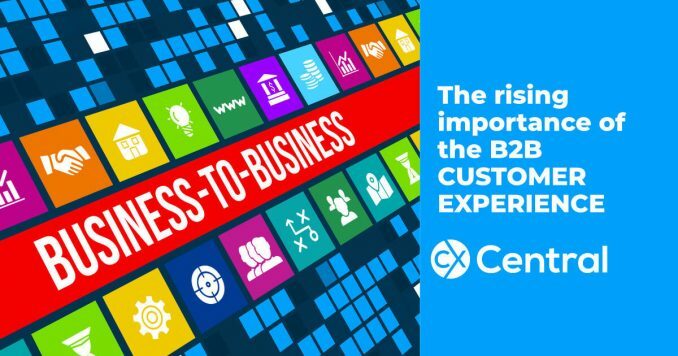 The lifetime value of a B2B customer is generally a lot higher than a B2C customer and B2B customers are also often harder and more costly to acquire. Because of the cost and work involved in obtaining new customers or clients, it makes good business sense to focus on providing an excellent customer experience, both from the perspective of brand differentiation and for the purpose of growing your business through new customer referrals. Getting B2B customer experience right isnt easy. Almost half of all B2B marketers surveyed found customer experience a challenge in 2016. With 68% of marketers saying that customer experience was going to be significant in 2017, it’s clear there is a lot of work to be done for the many brands that want to perfect this important area of marketing. Even though there is a huge awareness of the need for customer experience, according to the survey results only 29% of B2B marketers in Australia actually have a documented customer experience strategy for 2017. With the increased focus on customer experience among B2B marketers, now is the time to create a customer experience strategy and differentiate yourself from the competition. Find suppliers that can help with your customer experience strategy including consultants, technology suppliers and more in our Business Directory.